Provides ultra-high density and energy-saving design, reduces power consumption. A half-width, 2-socket server node for Huawei’s X6000 high-density server. 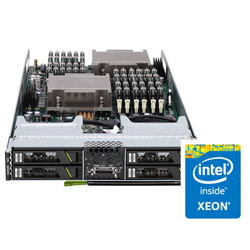 XH320 V2 uses Intel® Xeon® E5-2400 or E5-2400 v2 series processors, supports four 2.5-inch hot-swappable SAS/SATA HDDs or SSDs, and 12 DDR3 DIMMs, and standard PCIe cards. Flexibly expands computing, storage, and I/O resources based on service requirements. This server node is ideal for cloud computing, Internet applications, and data centers that require a large number of servers. 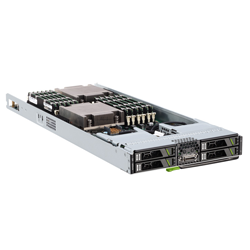 A Huawei X6000 server can hold four XH320 V2 server nodes, offers computing density four times that of a conventional 2U rack server. A rack can hold 80 XH320 V2 server nodes with up to 160 processors, for large-scale server applications. Supports real-time monitoring of system power consumption so energy-saving policies can be adjusted in a timely manner. Controls power consumption with power-capping technology.